No further details on the three suspects were immediately available Wednesday, however, police did release the name of the man believed to be the shooter. 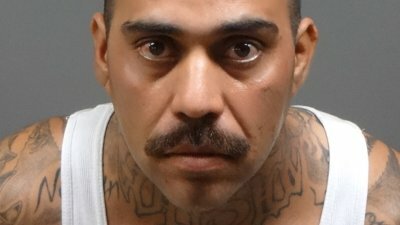 He was identified as 34-year-old Azusa resident Rigoberto Perez, who police said was still on the loose and should be considered armed and dangerous. Surveillance images taken from the ARCO station were distributed by police on Monday showing a man, believed to be Perez, and woman sought in connection with the shooting.